February is still a week away, but why not get a head start, eh? Because right now, Elizabeth’s Gaskell’s North and South has already gotten me in the mo-hoood for looo-hoove… or at least longing stares and soft, electrifying touches of the hand. Let’s get our hearts racin’! 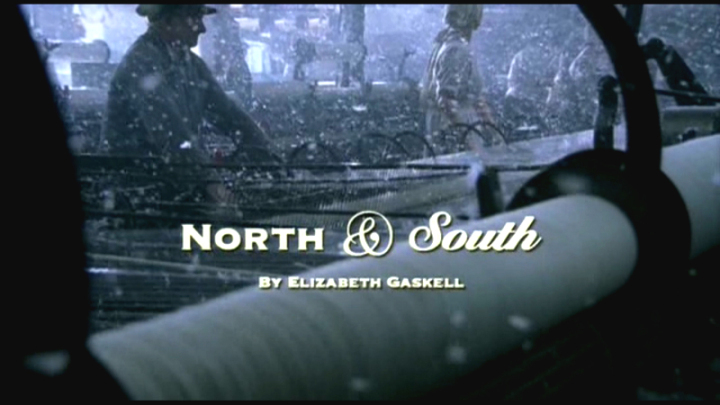 Published in 1855, North and South is a Victorian novel written by Elizabeth Gaskell. It is set during the Industrial Revolution and we are taken to the northern English town of Milton, mostly famous for its cotton mills and harsh, industrial lifestyle. The two protagonists are Margaret Hale, a young lady from the south whose family recently moved to Milton, and John Thornton, owner of Marlborough Mills. The stark contrast in their personalities is one of the conflicts in the story but there’s so much more surrounding it. But first, how did I come upon this wonderful gem? I didn’t. A friend knew how much I love Pride & Prejudice so she suggested a BBC serial she thought I might like. And boy, I fell. This BBC adaptation, first aired in 2004, stars Daniela Denby-Ashe as Margaret and Richard Armitage as Thornton. It only has four hour-long episodes, so it’s very easy to binge-watch, yaknowwhatImean? After a sleep-deprived night, I was bewitched, body and soul, and I love, love, loved it and never wish to be parted from it again. You see, Margaret and Thornton’s relationship is reminiscent of Elizabeth Bennet and Mr. Darcy’s. There’s the same push and pull going on between them, with the gruff, unfeeling gentleman being the first to develop feelings for the lady and getting rejected. There remains mutual respect but it only occurs to the lady later on that – gasp! – she also has romantic feelings for that unbearable-actually-quite-lovable man! But that’s where the comparisons end. North and South is so much more than just a love story. Yes, Margaret and Thornton’s budding romance is the central narrative, but we are also introduced to the strained relationship between the masters and the workers. (Downton Abbey, anybody?) The context of class playing a very important role is so interesting that I didn’t mind that it deviated from the romance at all! Another thing I loved? Margaret Hale is such a BOSS. Gaskell has written one of my favorite favourite female characters in fiction. Margaret is self-sacrificing, headstrong, and independent in a way that is absolutely admirable. In a span of a few years, she’s gone through so many changes and loss but has remained warmhearted and has made the most out of it. And during those dark moments, she never once asked help from a man. Bless her heart. There are so many other layers to the story that I haven’t even mentioned yet! Difficult family relations, differences in mindset between Northerners and Southerners, how faith, or lack thereof, affects how people deal with challenges and death; how Margaret completely shattered people’s expectations of how young ladies should behave, etc.